In a nutshell, I think it's safe to enable anonymous FTP and remove everything but the Public folder from guest access. As OS X server is setup, an anonymous FTP user can see into the Users folder and glean usernames from it. Don't give a hacker half of the equation. 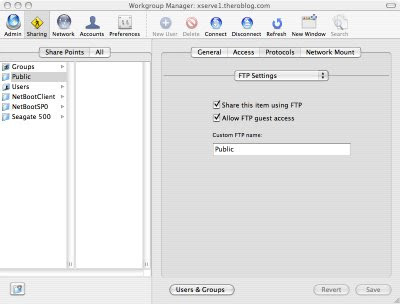 You want to use Workgroup Manager to remove the checkmark that allows FTP guest access on all but your Public folder. 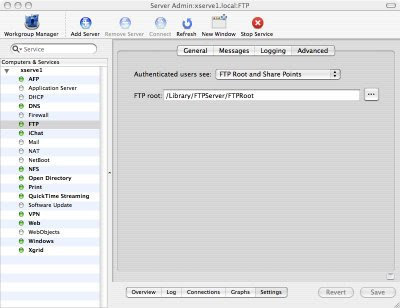 Then use Server Admin to set the FTP and what you want Authenticated Users to see. They will be able to see sharepoints but the anonymous user won't. Authenticated users will be logged into their Home folder. Long story short: there isn't an easy way to get good ebay coupons, BUT read on... I had a sweet 10% off yesterday from Paypal, but it looks like I needed a German Paypal account. So, that's out. To get 3% back on EVERY purchase, click here to sign up for Ebates. I have been a member since 1999. It's free. then when you shop online, just log into ebates and see if you get cash back at a particular website. You then just hit Ebate's ebay link and buy whatever you are going to buy. REALLY nice if you buy a big ticket item. I got $25 back yesterday on a server purchase. You also get $5 back the first time you use it. See the site for all the 'qualifing purchase' blah blah. Basically, don't use a coupon on it or somesuch. And if you see a real, GOOD Ebay coupon that works for more than 2 people in Germany, let me know.